The Q701s are the flagship of the new range. PRESS RELEASE: HARMAN International Industries Incorporated (NYSE: HAR), today announced the arrival of the new Quincy Jones Signature Line by AKG. The premium headphone collection represents a momentous partnership with AKG and one of the most accomplished musicians of the 20th century - Quincy Jones. The Q701 reference-class premium over ears, Q460 high-performance mini on-ear headphones, and Q350 in-ear headphones will boast distinctive AKG-built quality and unrivaled audio engineering in an elegant, portable design, so music lovers everywhere can experience sound the way every artist intended for their music to be heard. Quincy Jones - musician, artist, humanitarian - is an American icon. His productions, which include the best-selling album (Thriller) and single ("We Are the World") of all time, have garnered him an unprecedented 79 GRAMMY® nominations and 27 GRAMMY awards, more than any other living artist. His list of notable productions, achievements and awards is unrivaled in the music industry, and the list of legendary and contemporary artists with whom he has worked includes Aretha Franklin, Mary J. Blige, Ray Charles, Miles Davis, Celine Dion, Duke Ellington, Ella Fitzgerald, Michael Jackson, Ludacris, Paul McCartney, Frank Sinatra and Usher, among many others. 'Music is so much more than notes on a sheet of paper. When it's created with passion, with soul, we get something that is greater than ourselves - and it can move us deeply', Jones said. 'Throughout my entire career, I have trusted only AKG to deliver the highest standard of sound. It's the same standard I hold myself to when I make my music'. The Q701 reference-class premium headphones are the most accurate and responsive headphones AKG has ever produced. 'Reference' denotes a class of audio equipment that imparts little to no change to the input audio signal, producing a huge, airy, three-dimensional sound. The over-ear headphones feature revolutionary flat-wire voice coils that create a spacious, dramatic soundstage with precise 360-degree imaging and outstanding transient response. Patented two-layer diaphragms similar to their professional studio counterparts offer sparkling high-frequency sound and accurate bass response. Additionally, a high-performance neodymium magnet system makes the headphones heat-resistant for minimal distortion at any listening level. The Q701s deliver pinpoint imaging with unmatched realism. The stylish, portable Q460 high-performance mini on-ear headphones will connect users to their favourite music from virtually any portable player with all the dynamics you expect - and Quincy Jones demands - from the AKG® brand. The Q460s are iPhone-compatible, come in a combination of high-style colours and feature an in-line microphone that works with a number of phones, such as iPhone or BlackBerry® models. The Q460s also feature a remote (compatible only with iPhone models) to play, pause and skip through music. Designed for long hours of comfortable use with SuperSoft™ ear pads, the Q460s fold flat with AKG's unique 3D-Axis2 folding technology and feature a detachable, single-sided cable in two different lengths and a 2.5mm/6.3mm jack adapter. 'Quincy Jones and AKG have shared a long-running passion for quality sound, the art of music making, and the infinite power it holds to connect people and touch lives', said Christopher M. Dragon, director of Consumer and Field Marketing, HARMAN Consumer, Inc. 'We have partnered to design and introduce products into the marketplace that truly shine a light on how important sound quality is when you're experiencing the power of music in all aspects of your life'. Like the music legend whose name they bear, the AKG Q350 in-ear headphones are best-in-class performers, delivering high-accuracy sound with outstanding dynamics and bass response. The smallest of the three headphones in the Signature Line, the Q350s are ideally suited for music on-the-go with portable music players and the iPhone, weighing no more than standard-issue ear buds. Additionally, the in-ear headphones include an in-line microphone and remote control to play, pause and skip through music. A share of the proceeds from every set of headphones sold in the Quincy Jones Signature Line by AKG will go towards the Quincy Jones Musiq Consortium, a foundation dedicated to making music education an ongoing part of the lives of American children. 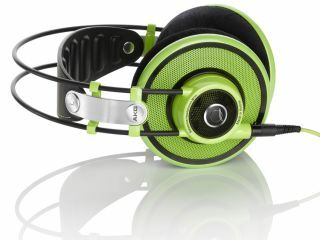 The Q701, Q460 and Q350 headphones will be available in October 2010. To experience the Quincy Jones Signature Line by AKG yourself, visit http://www.akg.com/Quincy.